Saw this today. Just great. 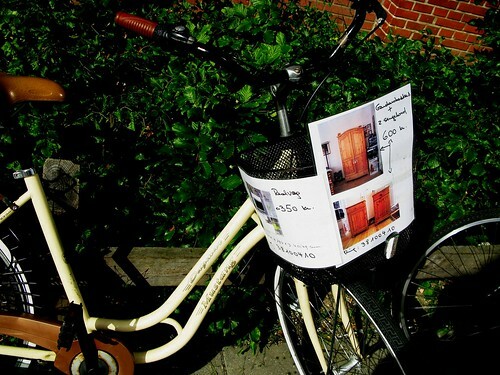 The person who owns the bike has a wardrobe and and two night tables that they want to offload. What better way to advertise than to put a couple of signs on your bike basket. Your bike will be riding all over the city each and every day anyway, so you'll be seen. I saw it outside a supermarket. Caught my eye right away.